Form Bloodstock Agency was founded by Charles Faull in 1974 when he imported Jan Ekels(GB) to stand at Noreen Stud on behalf of a syndicate of Cape Breeders. Despite siring only 4 small crops and a total of just 67 lifetime foals, Jan Ekels bred a staggering 18% stakes winners to foals – and his first crop of just 23 foals included Gr1 winners Rotterdam and Anytime Baby. The following year saw the importation of Royal Prerogative(GB) to Broadlands stud. A multiple Champion Sire of South Africa, he bred 12% stakes winners and left a profound influence on the local studbook. Further imports that went on to become Champion Sires included Dancing Champ(USA), Secret Prospector(USA), Western Winter(USA) and Trippi(USA). Other notable successful stallions imported by Form Bloodstock include Champion Freshman sires Russian Fox(USA), Rich Man’s Gold(USA) and Tiger Ridge(USA)- firmly confirming Form Bloodstock as South Africa’s premier source of stallion excellence. 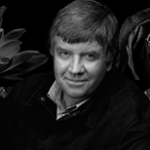 In 1986 Form Bloodstock opened its yearling selection division, headed up by Jehan Malherbe. Coolstar, a graduate from the National Yearling Sales, was their only purchase that year –he captured two Gr1 Classics during his highly successful racing career, before retiring to stud in Zimbabwe. Despite remaining small and selective, Form Bloodstock’s purchases have already won over 200 stakes races (more than 50 at Gr1 level) and include 23 Official Champions.